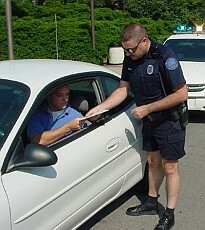 As we count down to the new year, California motorists should be aware of some of the new laws going into effect Jan. 1, 2012. These new traffic laws were passed by the Legislature and signed by the governor earlier this year, and the California Highway Patrol (CHP) is asking the motoring public to familiarize themselves with the changes before they take effect. “Our hope is by educating the public of these new traffic safety laws in advance, more lives will be saved in the new year,” said CHP Commissioner Joe Farrow.